Museums in the Dallas-Fort Worth area accommodate a steady stream of human traffic all year round. Students, tourists and historical enthusiasts flock to these institutions to experience history up close and to have fun along the way. With this kind of human activity happening almost every day, museum administrators are faced with the task of keeping their institutions clean and attractive at all times. A filthy and unsanitary environment is not only unattractive, it also poses the risk of making the pieces housed in it deteriorate much faster. However, cleaning a museum isn’t as simple as applying conventional methods and walking away. Paintings, sculpture and artifacts are very sensitive and one false move can ruin them beyond restoration. Fortunately, Valor Janitorial is here and we’re trained exactly for this kind of delicate work. 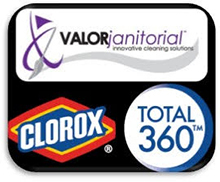 Valor Janitorial’s team of cleaning experts know exactly what to clean and how to do it when operating inside a museum. We use only the latest cleaning processes and state of the art equipment to make sure we’re tough on dirt while staying gentle on your building’s contents. Our services are backed by decades of experience and up-to-date knowledge that’s unrivaled by any service provider in North Texas.